A trellis or pergola is a wonderful way to add an alfresco space in your garden or roof terrace that can provide shade and endless hours of outdoor fun with your family and friends. A trellis or pergola allows you to use your outdoor space even if the weather or hot or if there is light rain as it provides shelter. A trellis or pergola provides a structure for creeping plants, thereby further beautifying your garden, patio or roof terrace. In terms of materials used for trellises or pergolas, you can choose from either composite wood, natural wood or galvanised steel for the structure and polycarbonate and aluminium composite panels for the top. To break up the monotony of just using wood, add in pockets of green walls. Artificial green walls require almost zero maintenance and are ideal for those without green fingers or wish to minimize maintenance burden on their helpers. You can even choose to wrap parts of the structure or cover the roof with artificial turf as it has been proven to cool down the space if used with a drainage layer. The materials like galvanised steel, composite wood and artificial plants we use are hardy and do not encourage termite or bug growth so your trellis or pergola structure remains sturdy and lasting. Most trellises in Singapore are installed on roof top terraces, gardens or patios. This means that they are fully exposed to the elements. Singapore’s hot and wet weather means that metals are especially prone to rust. This is why we insist on using Galvanised Steel in our trellis installations. 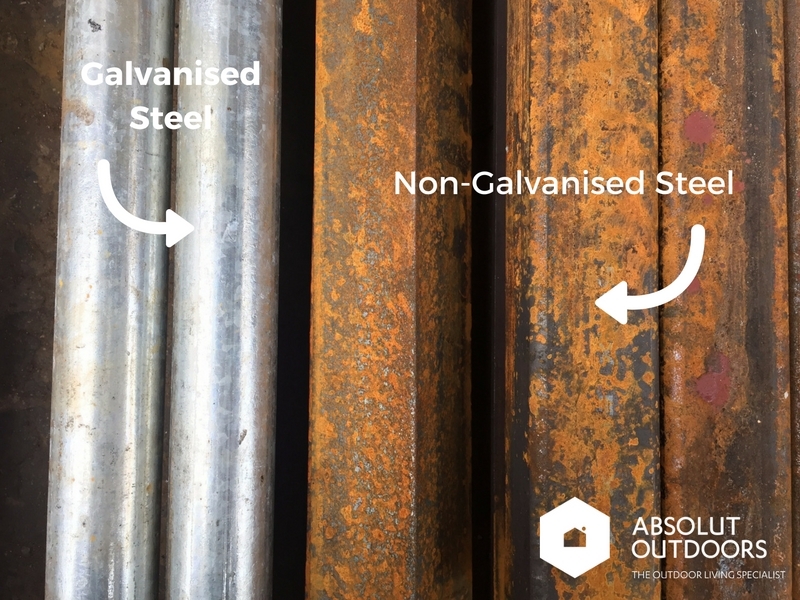 On the surface, it may seem as if using non-galvanised steel may be cheaper. The contractor may even assure you that giving the trellis a coat of paint will prevent any rust from forming. But scratch a little beneath the surface and you’ll see why this treatment doesn’t hold water. While installing trellises outdoors, there’s a definite chance that it could rain and the trellis could get wet before the installation is complete. Water seeps everywhere and “attacks” non-galvanised steel instantly. Within days, you could be looking at some very rusty metal. The contractor would have to do some serious work in sanding the rust off every nook and cranny before painting a layer of primer, and the paint. If this process is not done well, you could be looking at some rusty, expensive structure in a few months’ time. Maintaining a rusty trellis is much more costly than one that is done well, and virtually needs no maintenance. We use hot-dip Galvanised Steel in our trellis installations. This means that all surfaces, including the internal walls of pipes or hollow metal bars are covered with a layer of zinc that reacts with the steel to make it tough and resist mechanical damages during transport or installation. 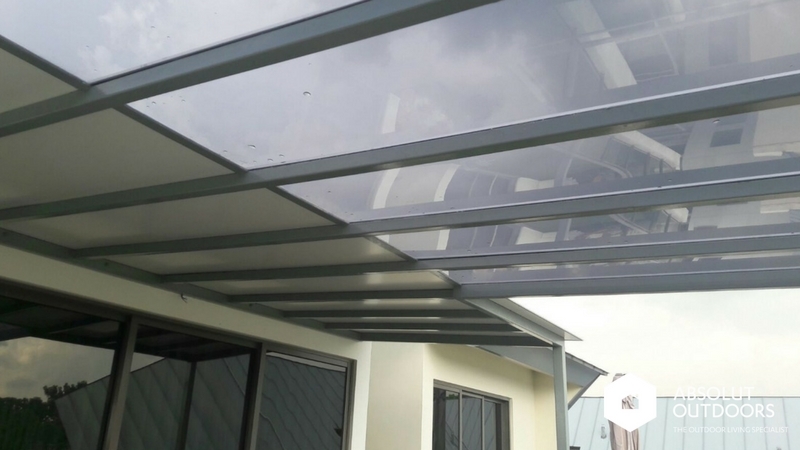 While installing the trellis or pergola for customers, we are not worried of any sudden downpour damaging the customer’s trellis even before it’s used. We believe this reliable and value-for-money approach is the only way to ensure lower costs for our customers in the long term. Because once your trellis and pergola is installed, you’ll want to be pondering the themes of parties you’ll be throwing and not worry about maintaining it. Enhances the beauty of the garden, patio or roof garden, especially if a green wall is used.